I do love this monkey. He makes me smile. But I realize it’s time to stop monkeying around and time to start writing. I keep telling myself, “Self. You should write more.” But myself won’t listen. Thanks to someone sharing something, I’ve come upon a contest that has inspired me. Once you read the details of this contest, you will want to give it a try. Trust me. I encourage you to check it out here, http://www.easystreetmag.com/great-american-sentence/ Time is running out. Don’t wait. Go there immediately. So far, I’ve written four sentences and not one of them involves a monkey. Now, I’m going to tell you about a most talented friend of mine, Joan Y. Edwards. She is the perfect example of what happens when you stop monkeying around and start writing. She’s a genius and works hard at putting sentences together. This month, she had some fabulous news! Read all about her book contract for LARRY, THE TERRIFYING TURKEY. And while you are there, check out her addictive blog. I know this is a short entry, but I still have one more sentence to conjure up. 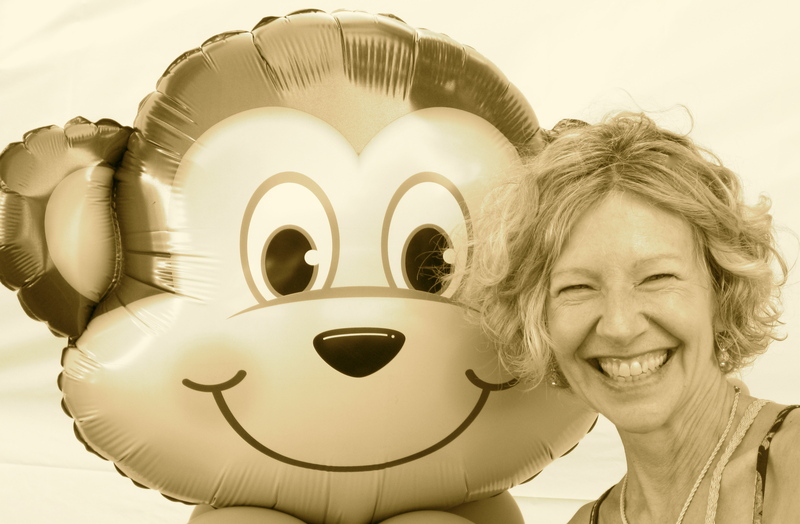 Yes, I’m through monkeying around but that doesn’t mean I have to remove my happy, smiling monkey picture from my desktop. Does it?